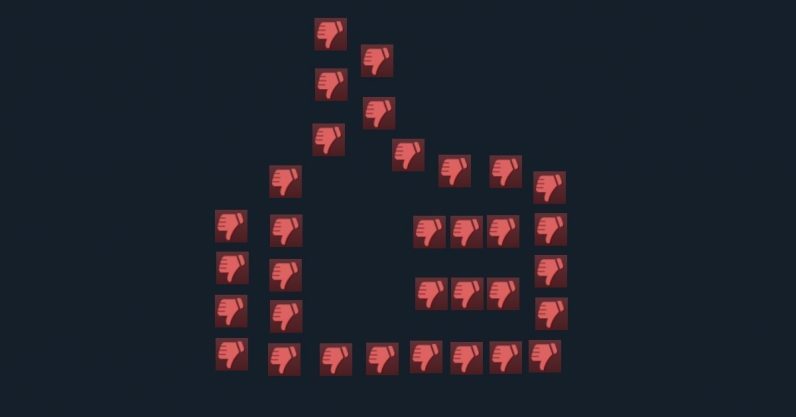 Steam revealed this weekend it was taking measures to curtail the swiftly-growing practice of review bombing by essentially hiding all reviews within the “bombing” period — even the ones from gamers who aren’t participating. This would probably take out a chunk of “legitimate” reviews, and won’t do much to smooth the tensions between gamers and game-makers. Five minutes after I tell users that review-bombs can be used for good, and to wield their power with that “great responsibility” I’ve heard so much about — Steam comes out with this new rule. According to Valve, it’s created a tool that will flag weird spikes in activity on a game’s page. Once flagged, Valve employees investigate the source of the activity, determine whether a “review bomb” has, in fact, been set off. If they believe it has, they’ll mask all reviews from that period of activity, meaning it won’t appear in the overall review score. They won’t be deleted — they just won’t drag down the score. If you’ve spotted several problems with this already, trust me — we’ll get to them. But to dig deeper into Valve‘s announcement, they specify this will only be enacted against bad faith reviewers who are using game reviews to complain about something off-topic. The answer to this appears to have been the source of much consternation among Valve‘s employees, who cover the basics in an FAQ. Evidentally such things as DRM don’t qualify as being in-game enough, and I’ll wager topics like the semi-politic art of Devotion would also qualify. It’s going to be judged on a case-by-case basis. Q: So if I post a review inside in the period of an off-topic review bomb, my review won’t be included in the Review Score? A: Unfortunately, this is correct. We’ve tested our process of identifying off-topic review bombs on the entire history of reviews on Steam, and in doing so, we’ve found that while we can look through reviews and community discussions to determine what’s behind the review bomb, it isn’t feasible for us to read every single review. So we’re crowding out good-faith reviews from uninvolved gamers in addition to the “off-topic” ones? What do they say about noses and spiting one’s face? Steam already has two separate scores for “Overall” and “Recent” reviews, and the graphs that show spikes of positive and negative activity. At what point does Valve trust we can make our own decisions and do our own research? Additionally, Steam is offering users the chance to opt out of this entirely — so what’s the point of it? And finally, many review bombs take place in the same period as a game’s release. There are exceptions — the Campo Santo/Firewatch review bomb springs to mind — but often they happen within a few days or weeks of a game becoming available for sale. So how does Valve plan to differentiate between post-release review bombs and honest, negative reviews? It looks like Valve’s intention to remain neutral isn’t going according to plan. We’ve contacted the company for more information on just how in the heck this is going to work. We’ll update if we receive clarification.